When Will Schuller was an 18-year-old senior in high school in Overland Park, Kansas, something puzzling was happening. He was “big into running at the time” and seemingly in good health, but his mile time kept increasing. From there, it only got worse. Will struggled to walk from the school parking lot to his classes, and he couldn’t exercise. “Everyone knew I was this fit guy, and in just a matter of a month you see me struggling to walk from one side of the hallway to the other,” he said. “My sister would have to piggyback me up the stairs.” At that point, Will’s parents had to pull him out of school. It took about six weeks for a neurologist to figure out what was going on. Right around Christmas 2014, Will was diagnosed with Lambert-Eaton Myasthenic Syndrome (LEMS), a rare neuromuscular disorder. LEMS is “a chronic autoimmune disorder that affects strength and muscle fatigue ability,” said Dr. Ted M. Burns, a professor of neurology at the University of Virginia. LEMS affects about 3,000 people in the U.S., Burns said, and it can drastically alter the quality of their life. Will Schuller, who has Lambert-Eaton Myasthenic Syndrome. 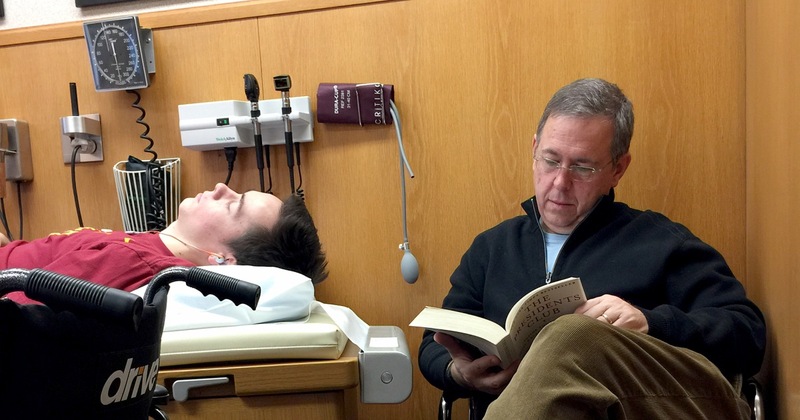 When Schuller got the drug, called 3,4-diaminopyridine, or 3,4-DAP, he instantly felt better. Ann Schuller, Will’s mother, said that about 40 minutes after her son took the pill for the first time, he was up and celebrating at the Mayo Clinic in Minnesota, where he was being treated. Since 1992, 3,4-DAP, was made by Jacobus Pharmaceuticals, a small New Jersey company, until a different company, Catalyst, recently received the exclusive rights to the drug. Catalyst added a preservative, renamed it Firdapse, and is now charging north of $375,000 a year for the life-changing drug. “This is not a story about innovation. This is a story about exploitation,” Burns said. Will’s parents said doctors at the Mayo Clinic warned them about an impending price increase, but they never imagined it would start costing hundreds of thousands of dollars. Firdapse, tablets for the treatment of Lambert-Eaton myasthenic syndrome (LEMS) in adults. However, Catalyst says the cost increase is both legal and reasonable. “Our pricing strategy reflects our focus on ensuring broad and sustainable coverage from both private and public payers and assistance for patients in need,” Catalyst CEO Patrick J. McEnany told investors in a conference call in December. “Is that really the kind of system we want to have?” Ann Schuller asked.